An intense brightening serum for even skin tone and a flawless complexion. A daily anti-aging and brightening serum for the face. For all skin types. It improves the uniformity of skin tone, targets and inhibits discolorations and restores a flawless complexion. Intense Complexion Lightener is formulated with Vitamin C in the form of L-ascorbic acid, an antioxidant to help even out skin tone and promote skin clarity. L-ascorbic acid is the only form of vitamin C scientifically proven to produce significant results. It stimulates collagen synthesis and plays an active role in the prevention of premature aging of the skin. A daily anti-aging and brightening serum for the face. For all skin types. Apply once to twice daily on forehead, each cheek, nose and chin. Do not rub. Dampen skin with water prior to application. 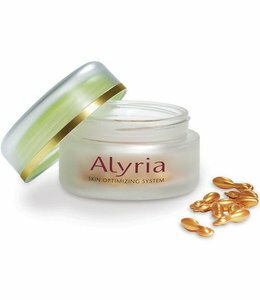 Once product is absorbed into the skin, apply a sunscreen and if necessary, follow with your Alyria moisturizer. Hands down best product I have ever purchased. I had really bad dark spots on my face from the sun. Nothing lightened them. Within two weeks of using this, my dark spots were 50% gone. After one month I would say the spots are 80% gone. Truly amazing! !